Welcome to Cellular Country, your source for quality refurbished, and used iPhones, smartphones, and basic phones. All of our used phones are thoroughly tested and inspected by a trained cell phone technician and are guaranteed to function with your carrier. 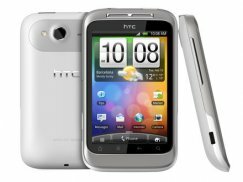 Cellular Country has a full range of Refurbished Phones Htc products for you to choose from. Each phone has been completely tested and inspected by an experienced technician. In the event that it doesn't meet your expectations, it comes with a full 30 day money back guarantee. For replacement phones, Cellular Country is your only source. All you have to do is browse our enormous selection of accessories and refurbished phones and pick the phone that is right for you. We even offer discounted accessories, including bluetooth headsets, cases, screen protectors, and anything else you might want for your next cell phone. Cellular Country is the only place on the web where you should get your next replacement cell phone or between contract upgrade. Just browse our enormous selection and pick your next phone. Your next phone will be in your hands before you know it!